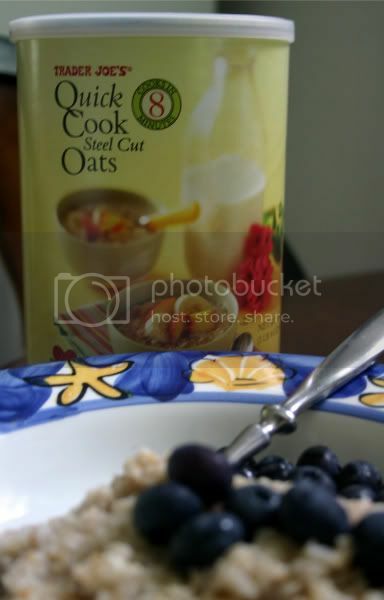 I saw this and decided to pick up these quick cooking Steel Cut Oats at Trader Joes. I love how fast it cooks! 5 minutes after this photo was taken, Baby O smashed my oatmeal onto the floor :( Good thing I cooked double the recipe.